One of Apple’s third-party suppliers, Foxconn, has long been surrounded by controversy, with critics accusing the Taiwan-based company of subjecting its enormous workforce to poor and sometimes hazardous working conditions and paying low wages. Last month Apple CEO Tim Cook was in China meeting government officials, as well as paying a visit to a Foxconn factory to see the situation for himself. Presumably with Apple’s permission, Marketplace Shanghai bureau chief Rob Schmitz was recently given access to one of Foxconn’s factories. Schmitz, incidentally, is the guy who last month exposed playwright Mike Daisey’s fabrications about life at a Foxconn factory, which ended up in a This American Life program broadcast earlier this year. The program subsequently made the decision to retract the episode. In his report, Schmitz took a video crew with him inside a Foxconn factory in the southern Chinese city of Shenzen and described what he saw. Almost a quarter of a million people work at the factory, 99 percent of whom have come from across the country to find employment. In a written report on his visit, Schmitz said the place is better described as a city than a factory. The short video report starts with workers arriving for their shift at seven in the morning. The majority of workers are aged between 18 and 25, Schmitz says. We’re then taken along the assembly line for the iPad and shown a number of procedures undertaken in its construction. “Each step in the line adds a new component, and some steps take just seconds to complete,” Schmitz explains. We’re shown workers using a machine to press the battery into the iPad’s housing, and another which tests the device’s gyroscope. Because of the monotony of the tasks involved, and possibly to prevent the likelihood of workers making mistakes as they become over familiar with their role, employees are moved around the factory and given a new role every few days. 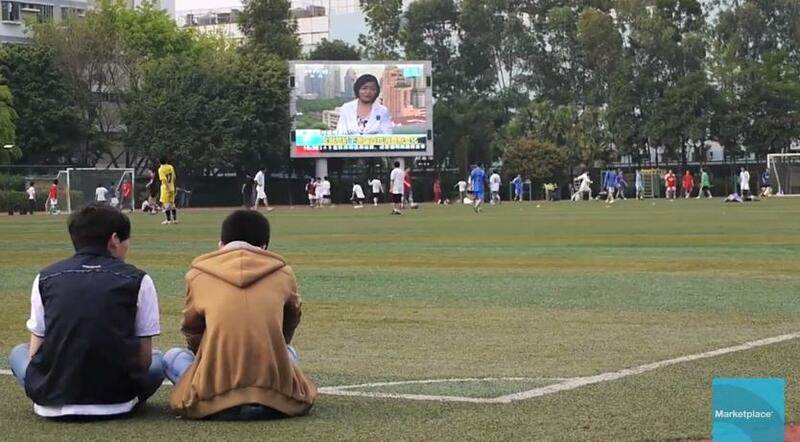 The report also explains that in China, Foxconn is considered to be one of the better employers, with the company building, for example, sports fields for workers to use during their free time. 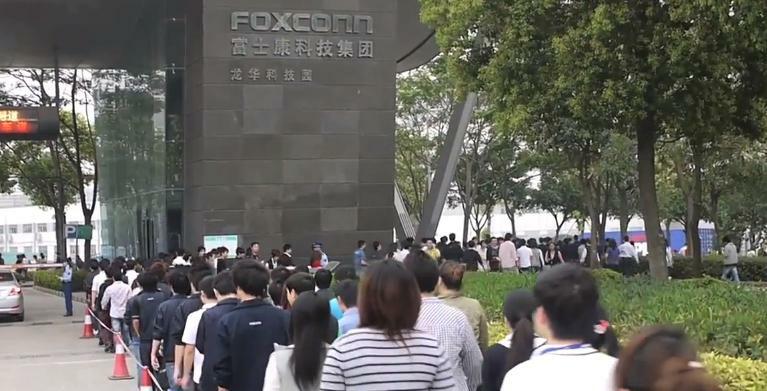 Unlike some manufacturers in the country, Foxconn is also known to pay its workers on time. Despite the work being “tedious and boring,” Schmitz says hundreds of people line up outside the factory every day to apply for a job. On the day he visited, he counted around 500 applicants at the gates. He says Foxconn is planning to build more factories in China’s interior, closer to the locations from where many of its workers come. If you’d like to get a behind-the-scenes look at a place which so often hits the headlines for the wrong reasons, or simply want to learn a little about the assembly of Apple’s iPad, check out the video below.